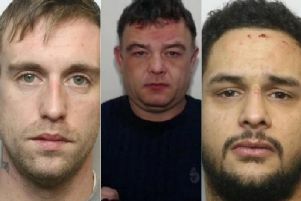 These Calderdale cases were heard at Bradford Magistrate’s Court. Joseph Easton (36) of Cumberland Close, Halifax, ordered to pay £64 compensation, £85 costs for stealing two bottles of gin to the value of £64 belonging to Keelham Hall Farm. Gary Mark Liddell (48) of Ryecroft Lane, Halifax, given a restraining order, ordered to pay a £369 fine, £36 victim surcharge, £85 costs for using threatening, abusive or insulting words or behaviour or disorderly behaviour thereby causing a person harassment, alarm or distress and the offence was racially aggravated. Nicola Manzoni (33) of Rhodes Street, Halifax, given a community order, ordered to pay £200 compensation for stealing a bum bag containing £200 cash and given a community order, ordered to pay £60 compensation for stealing meat from Aldi. Naeem Nassir (61) of Kingston Court, Halifax, ordered to pay a £120 fine, £30 victim surcharge, £85 costs for possession of a class A drug. Amanda Jane Coulson (46) of Littlemoor Gardens, Illingworth, disqualified from driving for 22 months, ordered to pay a £270 fine, £30 victim surcharge, £85 costs for drink driving. Roy Stout (63) of Park Close, Mount Tabor, given ten points on his licence, ordered to pay a £530 fine, £53 victim surcharge, £85 costs for drink driving. Sanam Akhtar (29) of Rhodes Street, Halifax, disqualified from driving for 21 months, committed to prison for 12 weeks, ordered to pay a £115 victim surcharge for driving while disqualified from holding or obtaining a driving licence. 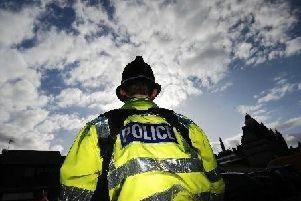 Lyndon Lee Fearnley (28) of West Bank, Illingworth, given six points on his licence, ordered to pay £660 fine, £66 victim surcharge, £85 costs for failing to give information relating to the identification of a driver. James Bunyan (41) of Ripley Street, Halifax, given three points on his licence, ordered to pay a £146 fine, £30 victim surcharge, £85 costs for speeding. Andrew Liu (25) of Sunderland Street, Halifax, given six points on his licence, ordered to pay a £660 fine, £66 victim surcharge, £85 costs for failing to give information relating to the identification of a driver. Tracy Michelle Manning (46) of Signal View, Halifax, given three points on her licence, ordered to pay a £40 fine, £30 victim surcharge, £85 costs for speeding. Karolina Patra (29) of Damson Place, Halifax, given three points on her licence, ordered to pay an £83 fine, £30 victim surcharge, £85 costs for speeding. Jean Paul (26) of Emscote Place, Halifax, given six points on his licence, ordered to pay a £660 fine, £66 victim surcharge, £85 costs for failing to give information relating to the identification of a driver.